When you sell products like banners, wallpapers, calendars and other similar items, your customers may need a cropping feature. So, CS-Cart Image Crop modification adds the special fields on the product page. 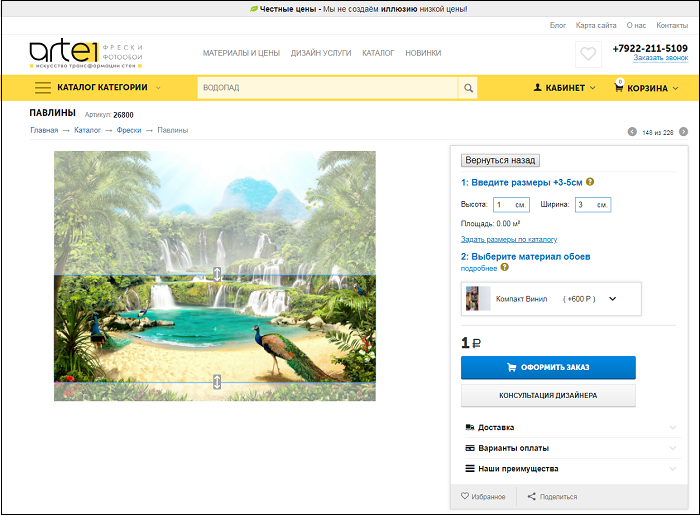 Customers can enter the required width and length of future product and see the price for the smaller size of the picture at once. The cropped image is saved in order details. The administrator can change it in case of necessity. And, don't worry, the core files of CS-Cart won't be changed by this extra modification. There won't be any problems during future updates. The modification is made for CS-Cart 4.6.3. But, we can adapt it for any CS-Cart version. The price of the modification — $400. If you have any questions about this modification, please, contact us.